Many times, when a business is just getting up and running, it can seem like the most important thing is to get stuff done and out there. Details, like securing the highest quality, most impressive business cards, like silk laminated business cards, for example, can really fall to the wayside when you’ve got more pressing concerns at hand, and it can seem like just having something printed at all will be good enough. But once you’ve got your storefront (or your virtual storefront) in place and you’ve nailed your first dollar (or virtual dollar) to the wall, it’s a good idea to take inventory of the collaterals that together contribute to building your business’s image. If you’re like many business owners and entrepreneurs, you want to convey a sense that your company holds high standards and values excellence. You may even want to appear cool, and heck, there’s nothing wrong with that. A low-quality business card (and accompanying low-quality flyers, postcards, posters, etc. ), though, is not going to help you achieve the image you are shooting for. These kinds of cheap, thrown-together collaterals make more of a statement than you may be aware. It can be hard to see this when you’re at the center of the biz. When it’s your baby, you might overlook the impact this corner-cutting can have on how you’re perceived. But try putting yourself in the shoes of a consumer shopping around for the very best in the business. You’ll quickly realize that in the customer’s eye, a large part of being the best is looking like the best, and your business card plays no small role in that. A standard white card printed on plain, thin, cheap cardstock will impress the customer about as much as you think it will: not at all. There are many add-ons and specialty features you can add to your business card design, but few offer the combination of sleekness and affordability that silk lamination does. Silk lamination is not exactly what it sounds like, of course. As cool an idea as it may seem, to laminate a business card in actual silk would be an extremely costly process that would result in a card that lacked the durability of even a standard card. What silk lamination actually entails is taking a full color business card printed on heavy-duty 16pt cardstock and adding to it an extremely durable brushed plastic coating that is as slick-looking as it is sturdy. 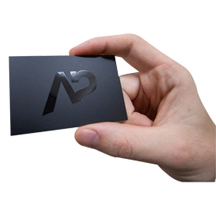 Silk laminated business cards are an excellent choice for anyone in the luxury industries, because the process literally “dresses up” your card. 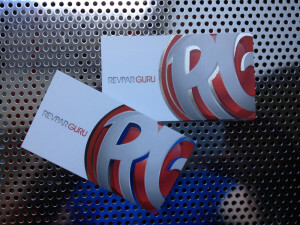 Like a tuxedo or a little black dress, the process takes a perfectly good business card and makes it look extraordinary. Beyond the look, the feel of the card will command “oohs” and “ahhhs” every time you distribute it. 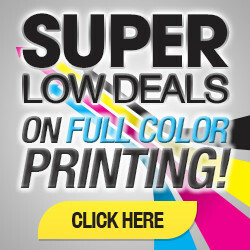 Beyond silk cards, silk lamination is also available for flyer printing projects. If you’d like your flyer to make people stop, take notice, and follow up, silk lamination is a great choice. Silk flyers look great on display on a counter top in your restaurant, bar, retail business, gym, spa, hotel, or other business. And because of the water- and tear-resistance that these flyers offer, they’re a product that will stand the test of time and wear, whether they’re sitting in your shop or they’re out bouncing around the world with the consumer. This enduring quality gives you the incentive to print them in larger quantities, which means that you save more money per printed piece (printers usually give discounts for printing higher volume).